Efforts are underway in Canada — which also faces the same estimated shortage of qualified technician as the U.S. — to encourage auto body and other automotive service jobs. For the first time in 20 years, the Saskatchewan Indian Institute of Technologies is offering a collision repair program — thanks in part to tens of thousands of dollars in funding from a public insurer, the Regina Leader-Post reported earlier this month. And the British Columbia New Car Dealers Association is addressing a shortage of all types of auto technicians on several fronts, including “education grants” that can reach $5,000, professional video testimonials and planning a “Career Corner” at the upcoming Vancouver International Auto Show, according to a report in the Vancouver Sun. These kinds of aggressive approaches to developing repairers have been seen here in the U.S. as well, perhaps most notably with the ground-breaking launch of the Fayetteville Technical Community College auto body program in North Carolina. The 10-week program offered by the Saskatoon, Canada, college was funded by $80,000 from Saskatchewan Government Insurance, which has partnered with the college for the program, the insurer said in a news release. Two of the weeks are spent in a real body shop. The first six weeks of the class will be held at Regina, Canada, headquarters of the insurer. 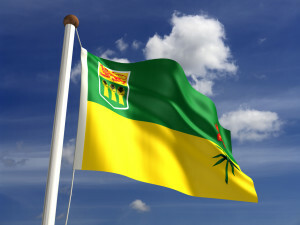 SGI was created by the Saskatchewan government years ago but is intended to be self-sustaining and break even. SGI, SIIT, and two other partners — the Saskatchewan Association of Automotive Repairers and Saskatchewan Automobile Dealers’ Association – have been in talks for as long as two years on the program, the Leader-Post reported. Canada’s collision repair labor shortage is discussed anecdotally 2014 CBC article and more in-depth in this 2013 piece by Murray Voth of Total Automotive and Consulting, which cites a Canadian Automotive Repair and Service Council 2013 labor study noting a more than 11,000-employee shortage across all aspects of the Canadian auto service industry. More than 200,000 auto damage claims are filed in Saskatchewan every year.